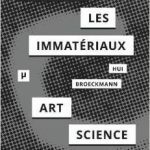 In 1985, the French philosopher Jean-François Lyotard curated a groundbreaking exhibition called Les Immatériaux at the Centre Pompidou in Paris. The exhibition showed how telecommunication technologies were beginning to impact every aspect of life. At the same time, it was a material demonstration of what Lyotard called the post-modern condition. 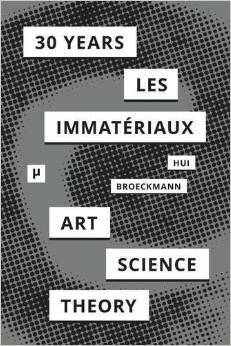 This book features a previously unpublished report by Jean-François Lyotard on the conception of Les Immatériaux and its relation to postmodernity. Reviewing the historical significance of the exhibition, his text is accompanied by twelve contemporary meditations. The philosophers, art historians, and artists analyse this important moment in the history of media and theory, and reflect on the new material conditions brought about by digital technologies in the last 30 years. Texts by Daniel Birnbaum, Jean-Louis Boissier, Andreas Broeckmann, Thierry Dufrêne, Francesca Gallo, Charlie Gere, Antony Hudek, Yuk Hui, Jean-François Lyotard, Robin Mackay, Anne Elisabeth Sejten, Bernard Stiegler, and Sven-Olov Wallenstein.